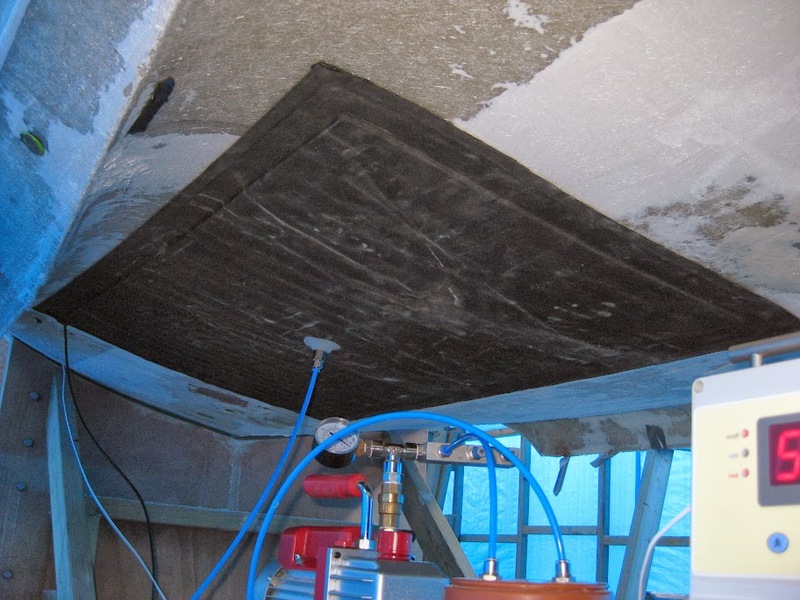 Below is an account of how i dried the hull of my 1971 Centaur using the 'Hot Vac' method but at a fraction of the cost of the pro system, infact the system i built - well i built two to run concurrently - comes in under Â£300 each and you could just as easily use one mat but will take a little longer to dry; not bad should you want to go the diy route with this. Right caveats time, i take no responsibility for you setting fire to yourself, your boat, your neighbours boat, your boat yard, your town etc - you get the idea, but by following the principles of the pro system which are extreme heat on tap that can be regulated via a temperature control box and a single stage vacuum pump then its entirely possible combined with regular pressure washing to dry your boats hull. The control box i used was the ATC800, this is easily available on ebay for around Â£30 on ebay, this unit is simple to wire so you have the ability to heat and cool via two 13amp outlets, the instruction booklet for this unit explains in simple terms what you have to do, if you can wire a plug (L,N & E) you can wire this box. I put this control box in a waterproof box (about Â£10) that could combine the unit as well as two single gang switched 13 amp sockets, one is to plug the heater mat into and the other is to plug a blower into so you have - be it quite primitive - the ability to regulate the temperatures of the mat, i seldom plugged anything into the cooling circuit side as my hull moisture readings were so stubborn i regularly had the both systems running at 90oC +/- for 24 hours at a time! 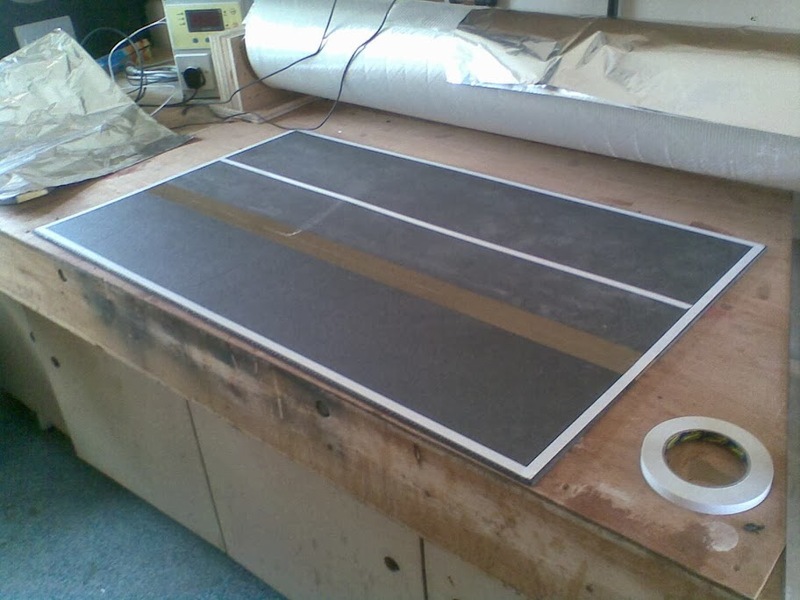 For this system to work effectively you will need to create a vacuum, this was achieved using a single stage unit (3 CFM / 1/4 HP) i use for veneering and have subsequently used for laminating composite components for my boat, any number of units are available on ebay and at the time of writing (dec 2014) cost Â£50, this is what you will connect to the rubber heat mat that will attach to the hull. 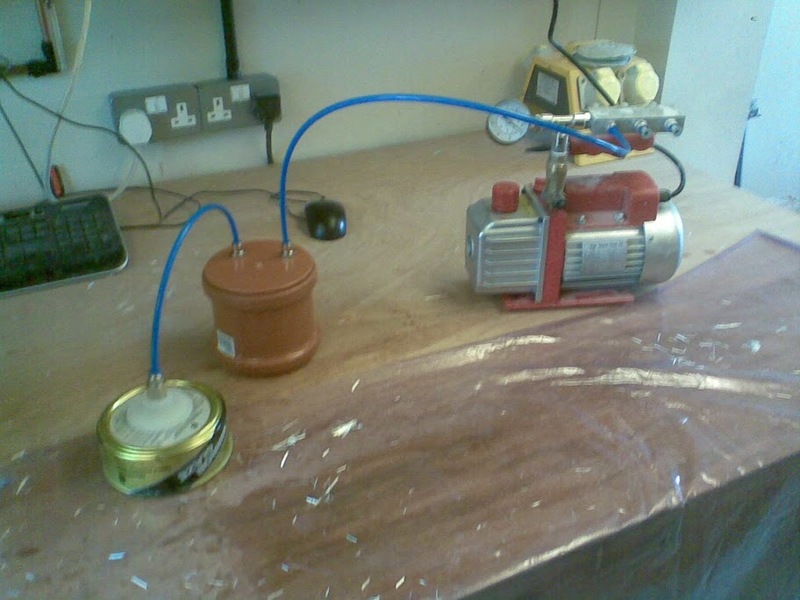 To do this the basic pump comes with no fittings so you will have to make an outlet which i did with simple festo push-fit fittings that thread onto the pumps outlet and its helpful to add a vacuum guage on the outlet to see what you're doing. 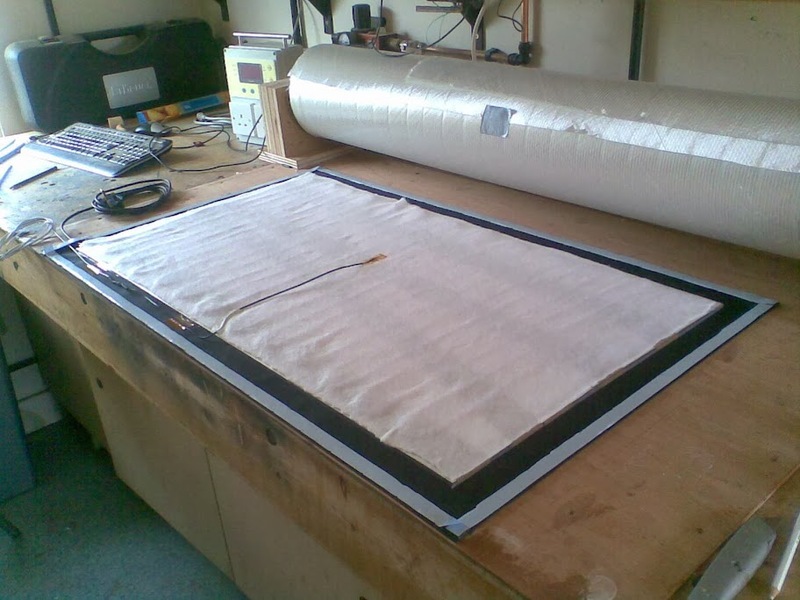 Putting these mats together consisted of (working from the outside in) a 2mm sheet of EPDM rubber 50mm bigger than your sheet of depron (insulator material) that the heater cable are taped to then a sheet of breather fabric that sit on top of the heater cables and therefore against the hull when mounted, this allows any vapourised soluates to pass through. Around the perimeter of the EDPM sheet you will need to run butyl tape, this is what will stick the entire lot to the hull and create a seal for the vacuum to pull up on. 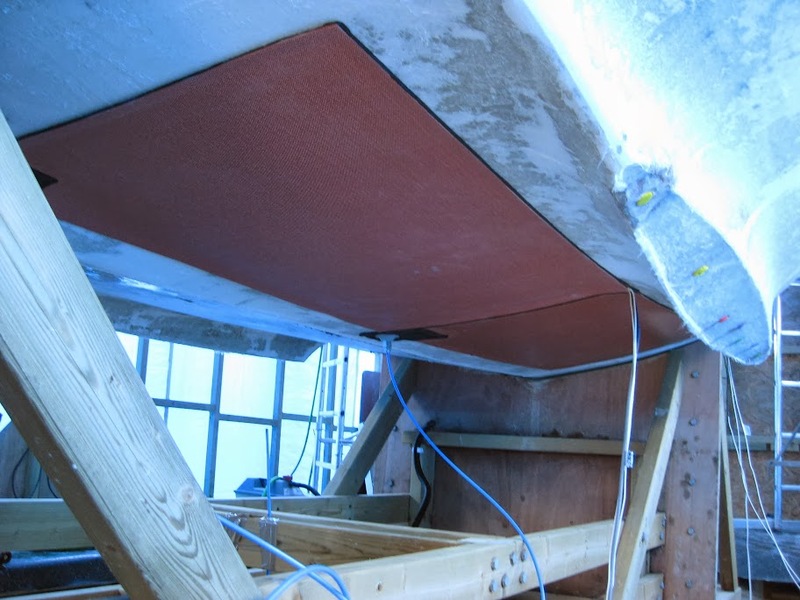 I should mention you will have fitted a temperature sensor that comes with the control box in the breather fabric so its right against the hull and will give an accurate temperature reading and therefore allow you to set appropiate levels based on the hulls moisture readings. 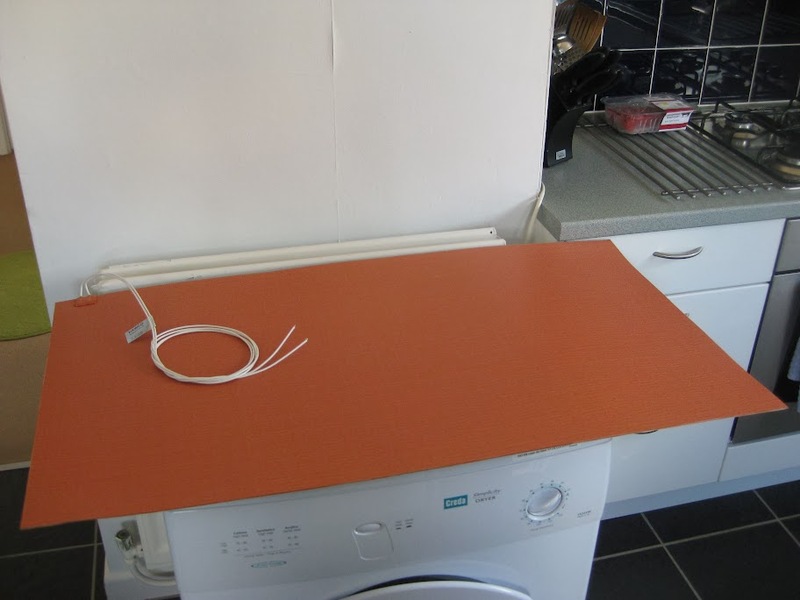 The cost of these mats is minimal, the underfloor heater mat i used was 200W and 1 sq metre, i cut the cable off the mat and rearranged the cables in a landscape format on a sheet of depron 1000 x 500mm, this kits are currently available on ebay for around Â£20 the EPDM rubber you can buy by the square metre, again on ebay for Â£20 so this mat is pretty cheap to build. One of the problems was that although this mat could go to around 80oC it took a good 20 mins to get there, i however am very impatient. 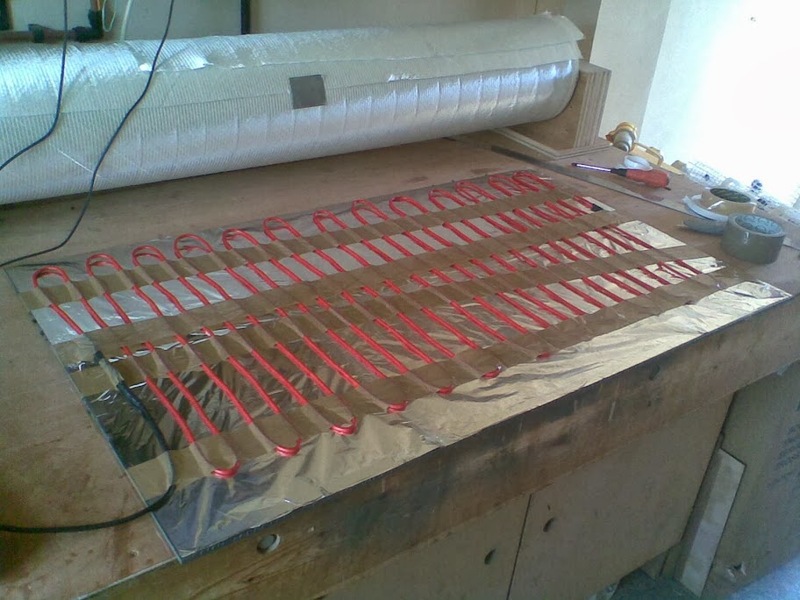 The next idea was to get some mats custom made which i duely did from a firm called Hawco refrigeration based in Godalming, Surrey. these weren't cheap as they came in at Â£200 each but they were about 1mm thick and utilized tunsten filaments embedded in silcone rubber sheet, these would get to 100oC in about 1 minute, thats pretty impressive compared to my home-made ones. One thing i overlooked when getting these made was not getting a small hole cut in them to create a vacuum as you need that to get them to stick to the hull, however i got over this by making an envelope out of some leftover EPDM that i attached to the silicone rubber mat that the suction cup could attach to. Overall the results were perfectly reasonable with my homemade mats as the boiling point of water reduces dramatically in a vacuum so you dont need really high temperatures in the first place but seeing as i had water running out of the laminate of my Centaurs hull i wanted to really dry the hull as efficiently as possible. After the gelcoat was removed from the waterline down, anywhere i placed the Tramex on the boats wetted area would send the needle off the scale - total saturation - now i know numbers aren't everything but after a very long time pressure washing with hot water and using my own hot vac system i got the boats wetted area into the green on the Tramex' scale, the reason for it taking so long was i thought letting the hull dry in the air would do most of the work so subsequently wasted the best part of 12 months until i went down the 'hot vac' route. 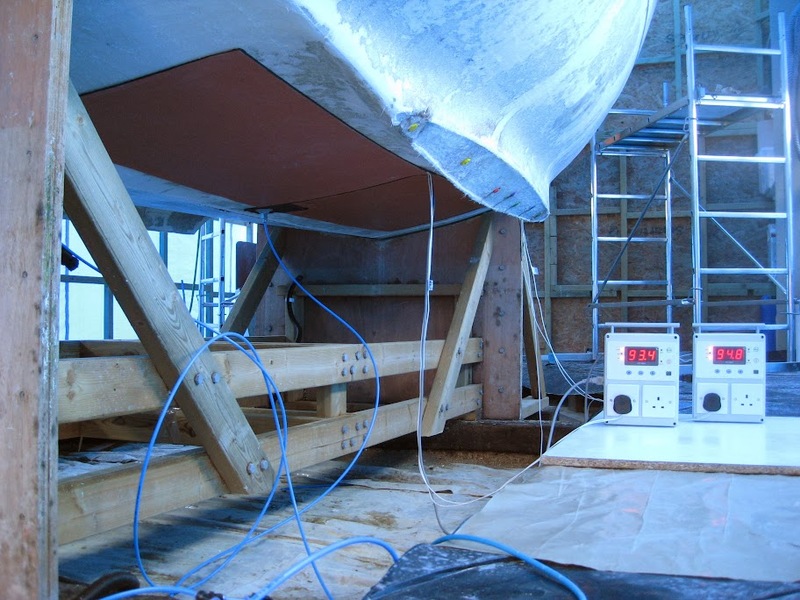 I 'hot vac'd' the hull for four weeks which gave very satisfactory results. This page was last edited on 7 December 2014, at 00:33.